HP04. 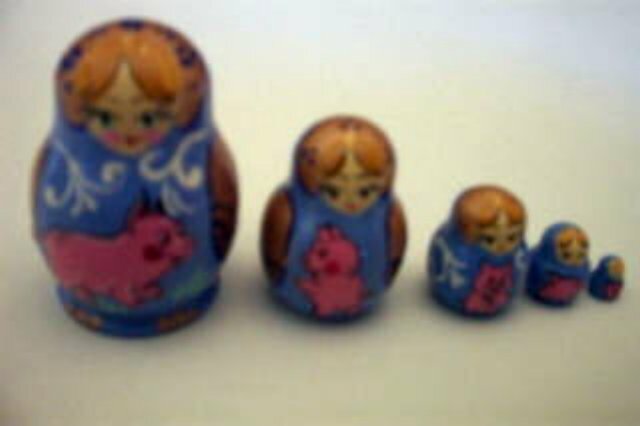 Lady & Pig Nesting Dolls 5n 1.5"
Micro blue maidens each holding a different pink pig. The dolls have gold accents on their scarves and sleeves.